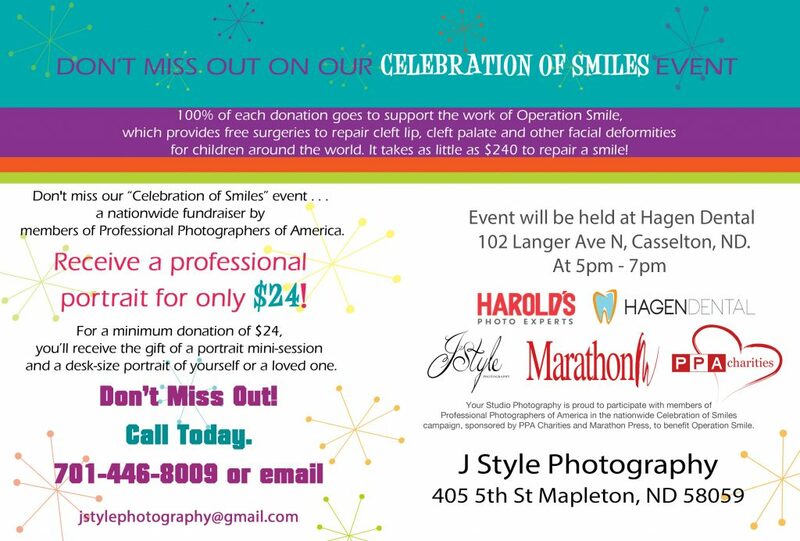 Celebration of Smiles Event is coming to Hagen Dental – Casselton, ND April 30th, 2018! A classic family portrait or child headshot. This year we have partnered up with Hagen Dental. They are hosting this event at their Dental office. All Donations go directly to Operation Smile and PPA Charities. We be showing a video about why this Charity is so close to our hearts. Refreshments and a fun goodie bag will be handed out at the end of the session. We will also have a video camera set- up to talk about why Operation smile is special. Where: Hagen Dental -102 Langer Ave N, Casselton, ND.